Universities have been offering legitimate courses about blockchains for a while now — there’s genuine demand from business students for introductory courses to teach them all about this “blockchain” and “cryptocurrency” bafflegab. The courses are usually relentlessly positive. 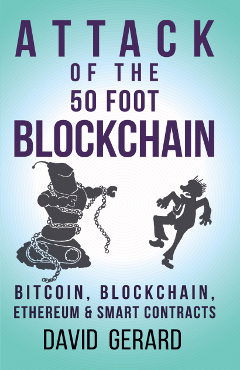 So if you find yourself anywhere in range of one of these being set up, be sure to include Attack of the 50 Foot Blockchain as a key textbook. It’s got a track record as a college text! At first I thought Woolf University was another of those — but no, it’s much sillier. Summary: Everyone will be paid in WOOLF tokens. And rather than a costly university administration — boo! hiss! — they’ll have … smart contracts! Unlike most higher education institutions, Woolf University will not have a physical campus, but will use an app which allows academics to advertise their services to prospective students, who can then select modules that match their requirements. Blockchain technology will be used in the regulation of contracts and payments, and to record academic progress. Over the course of a few years, students would be able to acquire credits towards undergraduate degrees, which would be placed on the blockchain and which will be accredited by traditional higher education institutions. 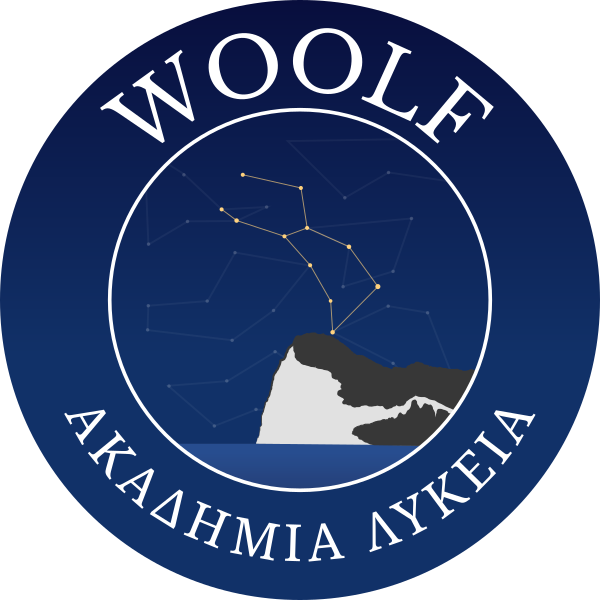 Woolf will be a borderless, educational society which reimagines how teachers and students connect. It will rely on blockchains and smart contracts to guarantee relationships between students and educators. For students, it will be the Uber of degree courses; for teachers, it will be the Airbnb of course hosting. But for both parties the use of blockchain technology will provide the contractual stability needed to complete a full course of study within a decentralised, democratic community. Uber is best known for underpaying and mistreating its workers and burning money on a great big fire, but academics will be familiar with universities doing both. By connecting the Woolf token to smart contracts, we aim to reduce university bureaucracy, lower student fees, and ensure better salaries for academics. The only way to buy classes at Woolf will be with WOOLF tokens — minimum $150 per tutorial, anticipated tuition $19,200 per year. Staff are also paid in WOOLF tokens. Woolf will be releasing 20% of the tokens for sale. 30% will fund immediate project work and grants, and the remaining 50% will be locked in the Woolf Reserve and released at 0.035% per month to fund longer-term work. That is, Woolf is literally printing private money, on the assumption that anyone will accept it. A distributed ledger can offer the technology and incentive structure to maintain a permanent, unfalsifiable record of student achievements, long after the lifetime of the academic organisation (and, more importantly, as we aren’t planning on going anywhere, allow students to trust that such a record will be there without having to trust us to be there). Do you have any blockchain developers on your team? Yes. Check out our team page. Almost everyone involved is in classics or elsewhere in the humanities. There is very little technical expertise in the team. 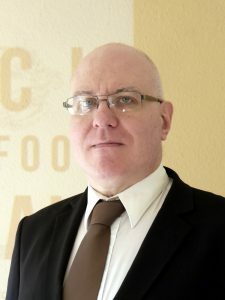 The blockchain developer is Johann Lilly, whose LinkedIn describes him as a “Certified Solidity Developer” and “Certified Agile Project Developer”. The roadmap posits expanding the development team in Q2 2018. The white paper (archive) for the concept is 55 pages. It notes that “Statements in this white paper reflect our hopes for the Woolf network and not its current abilities,” which is a way of saying that none of this exists at all yet. The paper describes the problems with the present academic system at length — their pitch is very much aimed at current academics. The resentment-based marketing is against expensive university administrations. Woolf plans to organise as a federation of colleges (in the Oxford style). The colleges will need to seek out accreditation — that the degree you’re paying $19,200 a year for is taken seriously — themselves. They can also select students by their own criteria, e.g., interview. The paper says “democratic” 68 times, though it appears much of the “democratic” aspect will be according to how many tokens you have. Sections 6 and 7 are an extensive writeup of how they want their blockchain-based university to work — complete with detailed organisational structure, voting procedures, quora and so on — which reads like a supplement for a fantasy role-playing game, but using WOOLF tokens instead of gold pieces. Remember that none of this exists yet. The essential administrative tasks of Woolf will be handled by smart contracts. Smart contracts execute under specific conditions – for example, if the student and teacher both accept that a tutorial has begun, the course credit will be accorded to the student’s blockchain record and the payment will be accorded to the teacher’s account. I’m sure there are no obvious ways to abuse that. How do you get your degree? University-wide rules delineate the criteria by which University degrees are awarded. These rules are to be embedded in smart contracts and thus execute automatically upon the blockchain when their criteria have been satisfied. Woolf degrees will be indelibly linked to the student’s unique but anonymized record on the blockchain. This translates: “as-yet-unimplemented robots will do it all, automatically and flawlessly!” Anyone who’s been within a mile of real-world software development, or real-world university administration, will see a number of problems here. Not mentioned: how they will deal with, e.g., student absences, illnesses, disengagement, mental health issues, dropping out or disputes. Nor how to deal with human resources issues. These will presumably be handled by the individual colleges. Present-day university administration might suffer greatly from the guys at the top soaking up excessive resources — but the bureaucracy does actually perform useful functions that require human oversight and correction. A computerised jobsworth is unlikely to give a satisfactory customer or staff experience if anything goes even slightly wrong. Section 4.2 of this white paper, which was authored by thirteen people and notes that it was put through “many rounds of review,” is missing entirely. I wonder what it said. Dr. A, chemist: “Only a dozen pages into this and I can see that hits the nail on the head exactly. Their entire model basically only applies if you like studying art history as it was in Oxford ca. 1970. Two hours a week via a Skype tutorial with the occasional meeting with an academic in a museum? And they’re charging how much for this? “I skipped ahead a bit and found their magical solution to peer review. You have to bid to become a reviewer, but you only qualify if your Big Excel Spreadsheet That Has A Hash records you as having taught that subject … this doesn’t actually solve the problem because we already look for qualified reviewers based on those criteria. “I have issues getting Excel to reliably match student names from a Canvas output file to the list I get from module coordinators because of mismatched middle names, firstname-lastname vs lastname-firstname lists, and goat knows what else. I have no idea how they think their Magic Database That Holds Everything But Has A Checksum So It Can’t Be Edited will even begin to fix this. The white paper goes into an extended justification of why WOOLF tokens are utility tokens, and definitely not any other sort of instrument. “Users of our utility tokens must agree that we are not offering securities and we make no promise with respect to their future functions.” It turns out magic words don’t work against securities regulators — they tend to look at what you’re doing, not how you label it — but Woolf isn’t letting that stop them. We have incorporated in Gibraltar because it provides a credible, regulated environment in which to operate. Gibraltar is primarily known for its lack of regulation, which is why it’s a tax haven, and hence its lack of credibility. As it happens, “University” is a protected term in the UK proper under the Companies Act 2006 — you really can’t just call your company a “university” — and the process for approving the title “University” in England is quite stringent and long-winded. You need “at least 1000 full-time equivalent higher education students,” for a start. “University” is also a sensitive term in Gibraltar — “an activity letter detailing what services the company or business will be offering will be required and consent from the Department of Education”. Presumably they found this process simpler. The registration information for the woolf.university domain name is privacy shielded, like 0% of respectable academic institutions. None of this makes sense or can work, but that never stopped an ICO. The first token sale is due to start in late March or early April 2018, with another to follow in a few months. They plan to launch the first college in Q3 2018. Update: Woolf University has expanded its FAQ page, after a fruitful Facebook discussion between Dr Broggi and a number of commenters with concerns as to the idea. Update 2: August 2018 version of the ICO offering and the full white paper.